Mark Vlossak founded St. Innocent Winery in 1988. It was his desire to create wines respectful of Old World quality and tradition in Oregon’s Willamette Valley, one of the newest and most exciting wine growing regions in the world. Now, with more than 170 90 point+ rated wines, he has become one of Oregon’s most lauded winemakers. His food-focused wines are made from six of Oregon’s most well known vineyards. These wines honor both vine and the vintage with balance and elegance. After 31 years, Mark is embarking on a new passion. In 2018, he purchased a 47 acre property in the South Salem Hills just off of the I-5 corridor. This move was inspired by Mark’s desire to be a true vigneron: one who guides a wine’s life cycle from vine to bottle. Soon we will have wine from our new estate, Enchanted Way Vineyard. 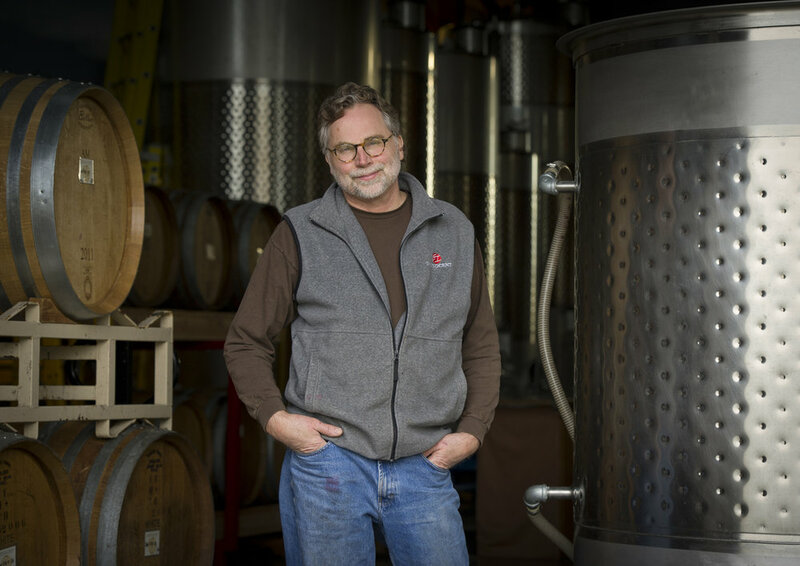 Mark will continue to produce vineyard designated Pinot noirs from great Oregon sites: Momtazi, Temperance Hill, Shea and Freedom Hill vineyards. Join Mark & Vickianne Vlossak on this unique river cruise of the lower Danube River entitled “Gems of Southeast Europe”. This special vacation, dedicated to fine wine and food, visits five Balkan countries, an historic part of Europe which most Americans have never visited. There is a long and ancient tradition of winemaking in Romania, Bulgaria, Croatia, Serbia and Hungary. Those choosing our pre-cruise tour of Romania will find a country that has given the world far more than Count Dracula. Special events and tours are included for members of the St. Innocent Wine Group. Please note: This tour and cruise program is created solely for the St. Innocent Winery by our tour operator, Expanding Horizons of Tustin CA in conjunction with AmaWaterways. The pre and/or post-cruise program will contain private meals, tours and/or visits to attractions. These additional services are exclusive to guests on this cruise who book their reservations with Expanding Horizons. Persons booking with alternative travel agencies will not be included in these activities.